Lady Tie Di to pen memoir of "The Otter"
Dianne Brooke, aka former Central Coast radio personality “Lady Tie Di,” plans to write a memoir about KOTR, the eclectic, free form FM station broadcasting from Cambria from 1984 to 1999. 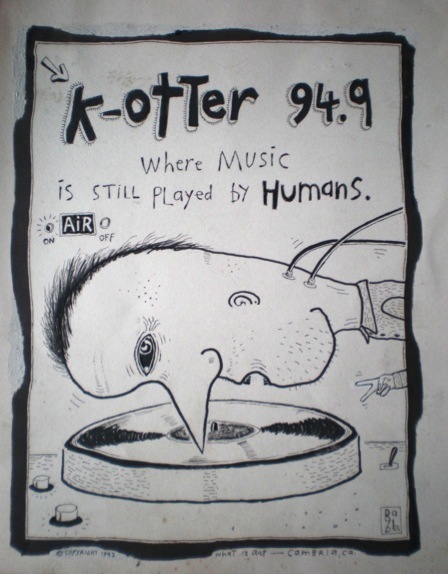 Known to listeners as “The Otter,” KOTR featured local programming hosted by a variety of offbeat characters, including Wood Nymph, Clam Chowder, Radio Flyer and Harry N. Farmer. Lady Tie Di hosted the morning show during most of her 13 years with the station. KOTR achieved cult status in the community, known for being unpredictable, but always local, with its programming. 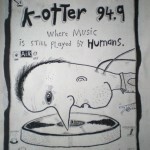 Station owner Bruce Howard sold KOTR to Mapleton Communications in 1999 and it eventually yanked “The Otter” to carry the signal of its Santa Cruz station, KPYG, to the Central Coast. Brooke is currently gathering research material for her yet-untitled book. People who have stories or materials related to “The Otter” are welcome to contact Brooke at her Web site.